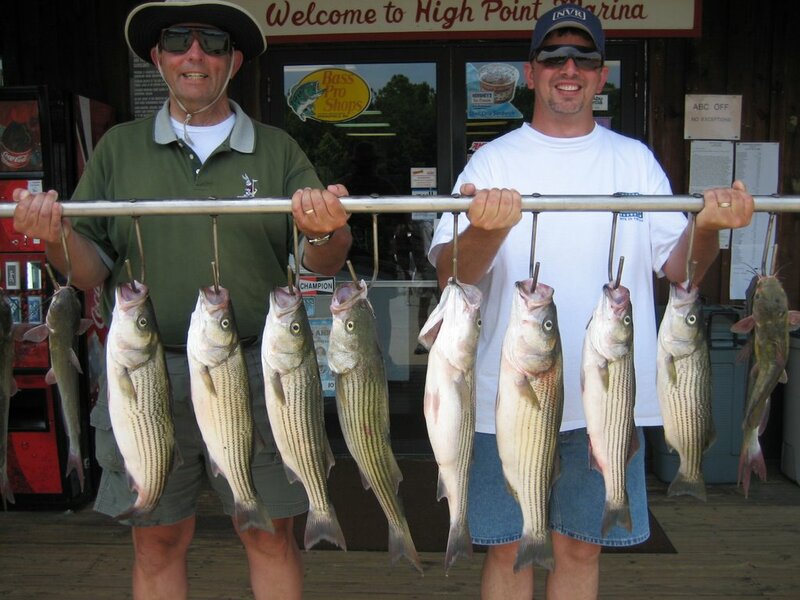 Caught bait early today and picked up clients and went looking for Stripers. Checked up from the marina for an hour and only found singles. Finally found a school in 33 ' of water and put downlines on them, poped 3 Stripers out of the school and looked up and a boat that saw us catching the fish ran 30 yards from us and spooked the school. Tried with no success to relocate that school so I went downlake to look for fish. Found a few fish in 40' , put out lines and damn if the same boat followed us and started heading for us so I picked up and dodged him. 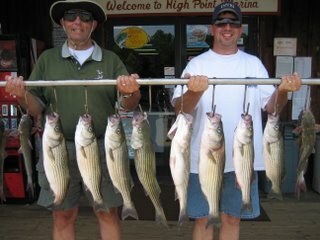 Fishing was slow today although clients had 80 hits they boated 20 Stripers, kept 8 and a few cats.